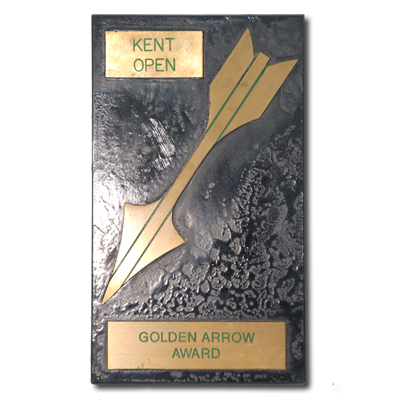 Polished brass arrow and plaques, mounted on a marble slab. The archer who shoots the best gold during a nominated end. 31 Aug 2010: Lost and irrecoverable. 31 Aug 2010: Awarded in 2007, but the recipient has not returned it and has not been contactable.